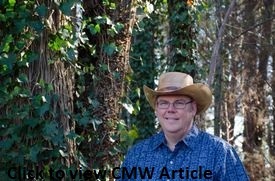 Joe Ruminski is one of the treasures of the CMW. 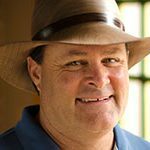 Past president of the CMW and Lifetime Membership honoree at the 2016 AAW Symposium are just 2 of his many accolades. 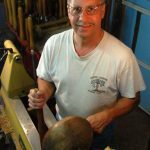 Those who know him understand that he is a tireless advocate for woodturning and a consummate teacher and mentor. Watching him demo is both an educational and enlightening experience. 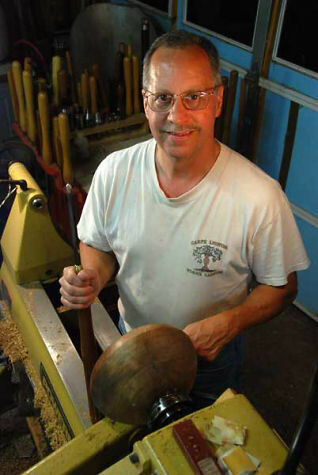 His work is largely functional and includes bowls, jewelry, boxes and many other practical items. His appearance is a perfect way to end the year and will make your holidays a bit more cheerful and rewarding. He will also be giving a workshop on Sunday, Dec. 16. John Lucas is our October demonstrator. 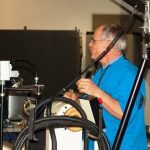 He has demoed extensively, including the AAW national symposium, a number of regional symposia, and many individual clubs. 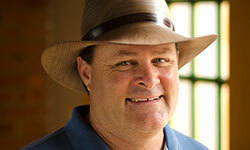 He brings a wealth of knowledge and experience and will present a multi-faceted demo for us. Projects will include hand mirrors, a chain ornament (just in time for Christmas), a 2 part ornament, and possibly more. 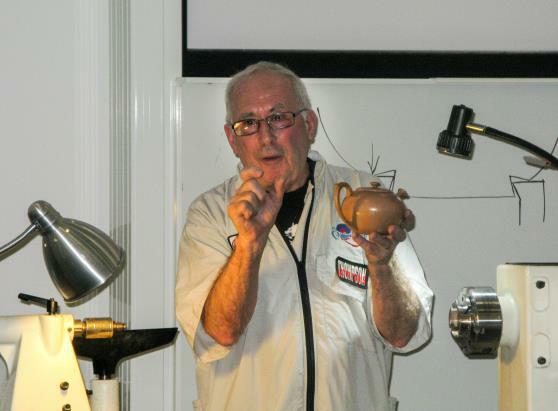 His class on the 21st will focus on the hand mirrors and possibly another project as well. More info will be posted as it becomes available. September 22 Folk Art Center Chris Ramsey Chris Ramsey is a hat guy. His hats are in the collections of no less than 3 presidents; the two Bushes, and Abe Lincoln (or rather an actor portraying him). His resume gives him serious bragging rights, with a long list of major collections and demo appearances. You can see his work at http://www.chriswramsey.com. August 18 Folk Art Center Jason Swanson Jason Swanson is a young very enthusiastic turner from the Milwaukee area. 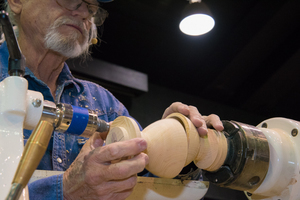 He specializes in segmented turning, but don’t let that scare you away. 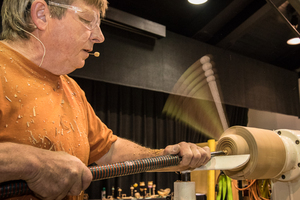 His demos and the techniques he discusses will appeal to all styles of turning. He’s given demos at the AAW national and many regional symposia, as well as John C. Campbell and Arrowmont. He has an easy going conversational style that is very engaging and informative. His work as mostly functional and includes peppermills, pens, boxes, and much more. 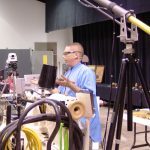 You can see his work at http://www.wiwoodguy.com, although some of his site is still under construction. 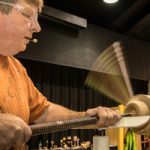 July 21 Folk Art Center Michael Gibson Michael Gibson comes to us from nearby Atlanta. He is probably best known for his exquisite and elegant teapots (he is English, after all), but is equally at home with any number of turned sculptural pieces. 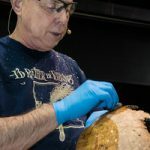 He’s demoed at all the major AAW symposia and has appeared at events throughout the world, including New Zealand, Turkey, Norway, England, the list goes on. 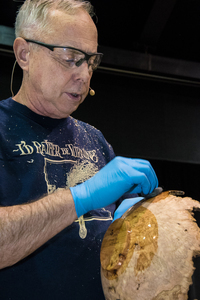 You can learn more at his website, http://www.michaelgibsonwoodturner.com He’ll also give a workshop on Sunday, July 21, subject TBD. June 16 Folk Art Center Michael Hosaluk Watching Mike Hosaluk give a demo is exhausting and exhilarating at the same time. He is one of the most creative people you’ll ever meet and his work is simply stunning. He is well known for his whimsical sculptural pieces and he explains everything so well that you can’t wait to go home and get to work. 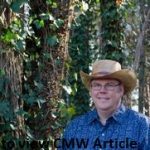 Link to Mike Hosaluk’s CMW Demonstration Article. He’s given demos at virtually every AAW sanctioned event and his work is in major collections around the world. Bring a notebook because you’ll want to record everything he tells you. Plus he’s Canadian, so you know he’s a super nice guy! Check out his work at http://www.michaelhosaluk.com. May 19 Folk Art Center Janet Collins Janet Collins comes to us from Vermont. 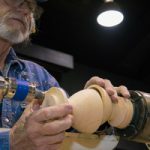 Her extensive experience as both a woodturner and furniture maker do much to inform her work and her demo will certainly inspire woodturners to think outside the lathe. 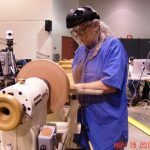 She’s demoed at the AAW symposium and was recently featured in the American Woodturner magazine. You can read more about her at http://www.greenmountainwoodturning.com. 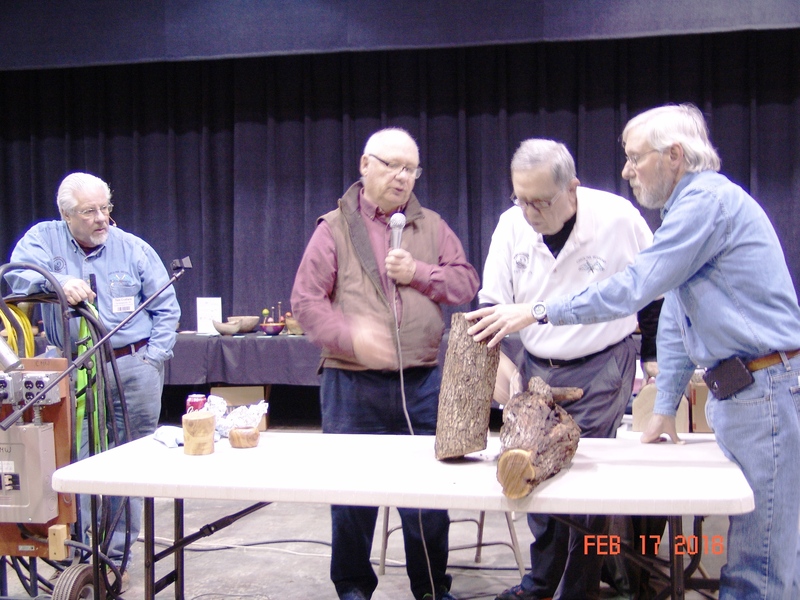 March 17 Folk Art Center Jim Duxbury and Warren Carpenter Long time members Jim Duxbury and Warren Carpenter stepped in to demonstrate when the scheduled demonstrator was not available. Warren Carpenter demonstrated turning natural edge cherry bowls in the morning. 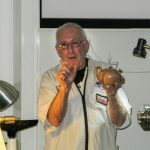 Additional information about Warren and details about his technique can be found in an article about a similiar demonstration in a February 2016 article. 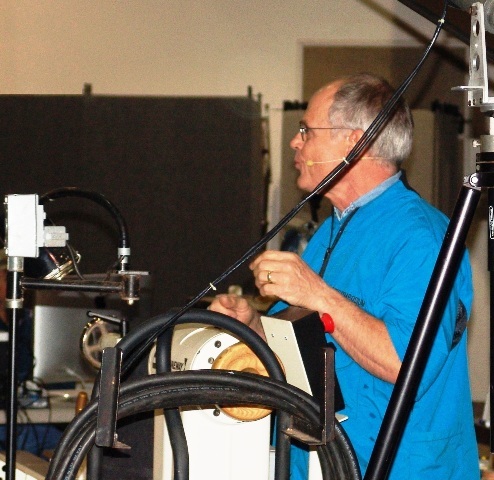 Jim Duxbury demonstrated his top 12 Turning Tips, Tools & Tricks, including Tool Holders, Chuck Templates, Morse Taper, Pen Press, Rotisserie Motor, Burning Wires, Tapping Tool, Spur Drive Seating, Flap Sander, Extension & Block with Sanding Pad, Sander Mount, Metal Detector. February 17 Folk Art Center CMW Members Something a little different this month organized by Alan Carter. 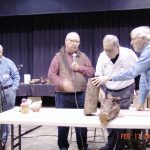 Woodturners at all levels of experience have questions about turning techniques, tools, sharpening, you name it. This month is your chance to get the answers you’ve been looking for. Our club is very fortunate to have a number of expert turners with many years of experience. 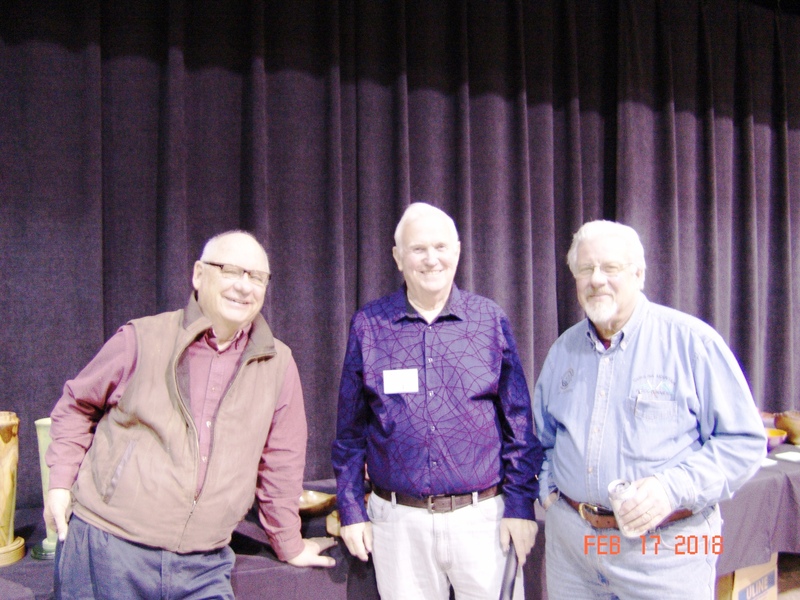 Thom Crothers, Tucker Garrison, and Greg Schramek will perform a number of short, skill building demonstrations. Try to stump these chumps and learn a lot in the process. 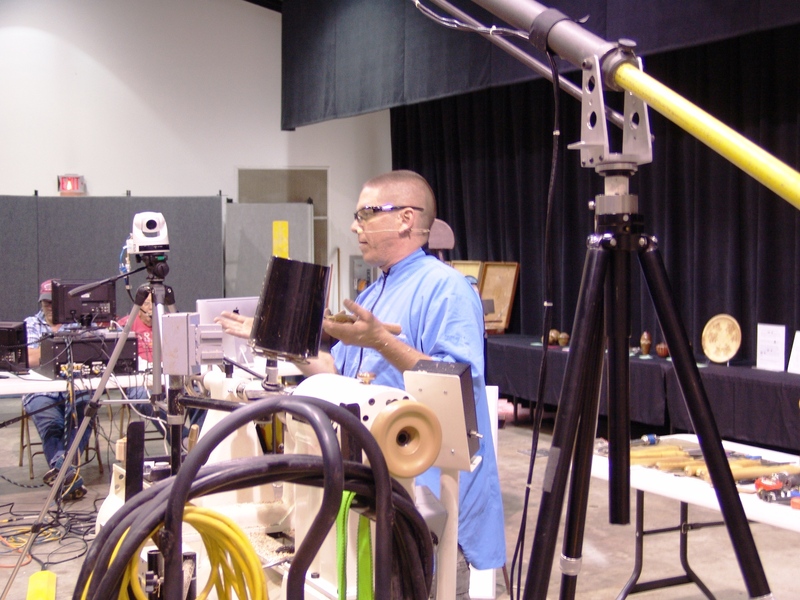 In addition we’ll have some short demos on subjects like finishing, coloring wood, etc. December 16 Folk Art Center Holland Van Gores Holland Van Gores is a member of the CMW who’s establishing quite a reputation as a world class turner. 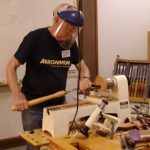 His work was recently featured in the American Woodturner magazine and his unique take on classic forms will be sure to inspire you. 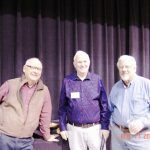 November 21 Folk Art Center Annual CMW Auction – come to get new tools, wood, and demonstration pieces. Members – watch your email for announcement! November 1 Folk Art Center, Asheville, NC CMW Members’ annual auction meeting.